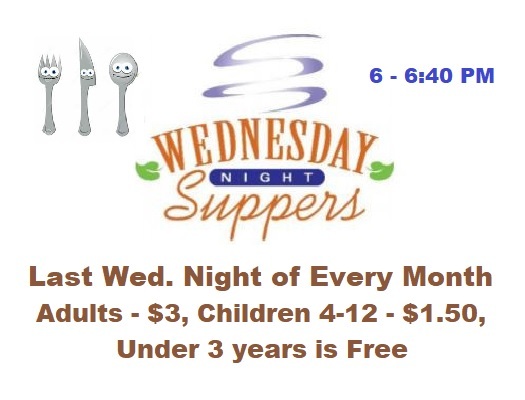 You are invited to our Family Night Bible Class Supper on the last Wednesday night of every month. It is immediately prior to our Wednesday night classes, from 6 to 6:40 PM. The costs are: Adults – $3., Children 4 to 12 – $1.50, and Ages 3 and under is FREE. The menu changes every month, so watch the weekly bulletins for updates, or call the church office for more information.